I love pumpkin. It is like a lady of many faces, elegant and crazy, fulfilling and leaving you hungry for more, sweet and spicy, delicate… So, whenever the pumpkin season opens, I am as excited as only a woman in love can be. And this year I made it my priority to discover even more recipes with this orange heaven. This year, I also went for gluten-free so I had an extra motivation to incorporate even more veggies into my diet. And to make people around me follow my passion. 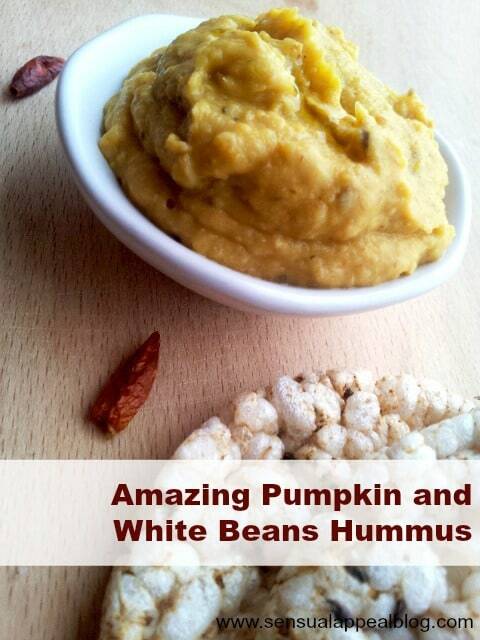 And so the amazing pumpkin and white beans hummus was born. When I first tried it, oh yes, I was astonished. And so was everyone who shared this dish with me! Let’s start with the pumpkin. Heat olive oil over a middle heat and add cloves, cinnamon and coriander seeds. Roast for about 1 minute, until aromatic. Add 1 garlic clove, ginger and chilli and roast for another minute. Add cubed pumpkin. Roast for about 10 minutes (or longer if needed) until tender all the way through. Season with salt. When ready, discard the spices and keep the pumpkin cubes. In a large bowl mix drained white beans, 1 garlic clove, 1 tsp. of olive oil, lemon juice and a pinch of salt. Add pumpkin. Blend until smooth. Adjust the seasoning if needed. Transfer the hummus into a serving bowl, drizzle with olive oil. Enjoy with fresh veggies like carrot sticks or celery sticks. 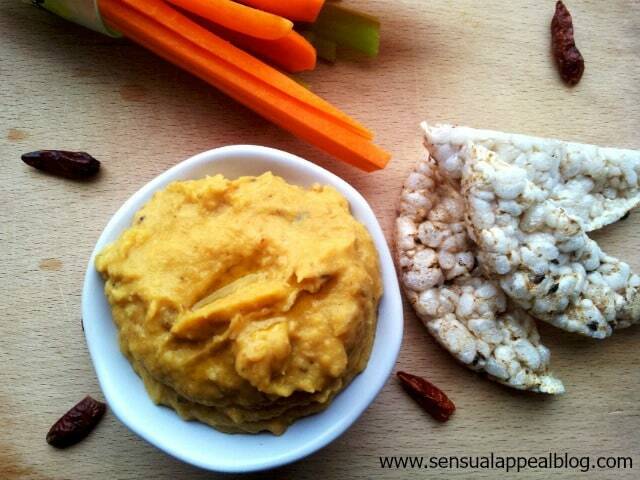 I hope you agree that this a a truly amazing pumpkin and white beans hummus to astonish your guests and yourself!